Genting Malaysia - US Beacon of Light for GENM? There are several developments in the US at the moment, which we believe could possibly end up favourably and improve investor sentiment on Genting Malaysia (GENM). In case of a favourable outcome, GENM could post net gains of more than RM1.8bn. However, as these issues involve state and federal politics in the US, the outcome is hard to predict. We reiterate our BUY call, with an unchanged TP of RM 3.80. In the 3Q18 results, Genting Malaysia had written off RM1.8bn investment in Mashpee notes, as the court ruled that the tribe did not meet the requirement stated in the 1934 Indian Reorganization Act, which limits the US Interior Department on holding the land in trust for the tribe. The tribe had previously planned to build a casino on the contested land. However, the House Committee on Natural Resources is now chairing a legislative hearing on a bill that could reverse the court decision. Nevertheless, the Senate has yet to reintroduce a similar bill for consideration. New Opportunities in New York and Florida? We believe that there could be new opportunities in the state of New York and Florida for GENM to participate. In New York, GENM’s Resort World Casino New York (RWNY) could play a role in the USD10bn sports betting market, depending on the outcome of S1490. In Florida, the state is negotiating with the Seminole Tribe on their “exclusive” rights to offer banked card games in the state, which contributed USD350m/yr to the state. The state could expand gaming if the negotiation falls through to fill the budget gap, potentially benefiting GENM, in our view. While it is hard to predict the outcome of these events, we believe that any favorable outcome to GENM would help improve investor sentiment on the stock, which has been affected by negative news flow since late 2018. We reiterate our BUY call with an unchanged SOTP- based TP of RM3.80. GENM is also our preferred pick in the gaming sector. Kelington (KGB) secured a batch of new Ultra High Purity (UHP) contracts worth a combined value of RM53m. These new contracts fall within our order-book replenishment assumptions as KGB continues to expand on its UHP segment. We reaffirm our BUY call and target price of RM1.60. KGB remains our top small-cap O&G pick. KGB secured a batch of new Chinese UHP contracts worth a combined value of RM53m, largely for specialized engineering work for water fabs in China. The majority of these contracts were awarded by renowned semiconductor players in China, with the contracts targeted to be mostly completed by 2020. The procurement of these contracts brings YTD new order wins to RM146m, which falls within our expectations, making up 31% of our order book replenishment for 2019E. Inclusive of the new contracts, current outstanding order book stands at RM406m, with UHP contracts making up the bulk at 73% followed by Process Engineering (19%) and General Contracting (7%), respectively. It comes as no surprise that KGB emphasizes its UHP segment as management continues to focus on the high-margin segment and generating strong project flows beyond the domestic market. In our view, the ability to secure these new UHP contracts is testament of KGB’s strength in the segment across key operating markets amid intense competition. Furthermore, with the impending commencement of its liquid CO2 plant in 3Q19, we expect KGB’s earnings growth trajectory to be sustainable. 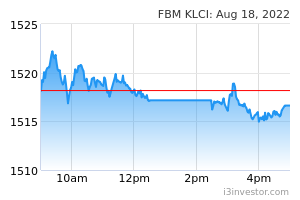 We reaffirm our BUY call on KGB and 12-month target price of RM1.60, based on a 16x PER applied to our 2019E EPS. Key downside risks to our call include: i) a downturn in semiconductor sales, ii) delayed start-up of its LCO₂ plant, and iii) collapse in trade deal negotiations between major economies. Based on some foreign media reports which highlighted the latest development of Hyflux Ltd (Maybank’s exposure RM1.95bn as at June 2018), we understand that the former is planning to restart talks with creditors and to explore outcomes other than liquidation. We view this as a positive development for the Maybank group, but cognizant that the deadline for Hyflux’s debt moratorium (granted by the Singapore High Court) period will end by 30 April19. If all parties fail to strike a deal, there could be some negative repercussions on Maybank’s 2019E earnings, i.e. higher credit cost vs. its guidance of 40bps for 2019 (Affin’s 2019E: 47bps). We downgrade Maybank from Buy to HOLD and cut our PT to RM9.00 on a lower valuation target multiple of 1.3x 2019E P/BV from 1.66x. Based on a recent news report, the bailout deal between Singapore’s Hyflux Ltd. and an Indonesian consortium led by the Salim Group has fallen through (announced on 4th and 5th Apr 2019) and meanwhile, Hyflux has until 30th of April before its debt moratorium expires. We understand that Hyflux is exploring various possible outcomes. To recap, Maybank has a total exposure of RM1.95bn (SGD658.6m) to Hyflux since September 2013, which covers project financing for: i) Tuaspring’s Integrated Water and Power Plant (IWPP) (SGD602.4m) and ii) TuasOne Waste-to-Energy Plant (SGD56.2m, to be ready by May 2019). As at 2Q18, Maybank had set aside collective provisions totaling RM315.1m. Nonetheless, we keep our earnings forecasts unchanged pending more developments and clarity from the situation. Based on a worst-case-scenario, the Public Utilities Board of Singapore will take over the loss-making Tuaspring Desalination Plant without any compensation for Tuaspring. We Downgrade Our Rating on Maybank From BUY to HOLD, and Cut Our Price Target from RM11.50 (at a 1.66x P/BV target) to RM9.00 (based on a lower 1.3x P/BV target on 2019E BVPS) in-line with its past five years’ P/BV average multiple of 1.33x, in light a less optimistic market outlook. Its downside risks are mitigated by its strong and amply capitalized balance sheet (CET 1: 15.03%) and sufficient liquidity (Dec2018 LCR: 32.4%). LPI Capital’s 1Q19 net profit was within our and consensus estimates although it only saw marginal growth in 1Q19 as net profit increased 4.2% yoy (though down 8.4% qoq due to seasonality). The bulk of underwriting profit for 1Q19 was underpinned primarily by the fire (68%), followed by the miscellaneous (15.1%) and motor (13.5%) segments. For the quarter, we saw higher claims incurred at the miscellaneous segment (largely medical), though the group’s net claims ratio continued to hold up at 47.4%. Reiterate BUY, price target unchanged at RM18.90 based on a 3.2x P/BV target on 2019E BVPS. LPI Capital saw a 1Q19 net profit of RM77.2m (+4.2 yoy; -8.4% qoq) underpinned by gross earned premium growth of 2.4% yoy (fire +2.2% yoy; motor +9.4% yoy; marine/aviation/transportation -18% yoy; miscellaneous -16.3% yoy). Investment income for the period grew by 12% yoy and a further 81% qoq largely due to better interest and dividend income. These have also helped to mitigate the impact of higher net claims incurred in the quarter, which saw a spike especially in the medical (under miscellaneous insurance) segment. This was reflected in the relatively flat underwriting profit for 1Q19 of RM58m, while the group’s net claims ratio stood unchanged at 47.4% (fire: 13.6%; motor: 70.6%; marine/aviation/transportation 62.7%; miscellaneous 71.5%). The fire segment contributed 40.8% of 1Q19’s net earned premium (NEP), followed by the motor segment at 32.5%, miscellaneous at 24.4% and MAT at 2.3%. Fire segment accounted for about 68% of 1Q19 underwriting surplus. We Reiterate Our BUY Recommendation and Maintain Our Price Target at RM18.90, based on a 3.2x 2019E P/BV target. We maintain our FY19-21E earnings forecasts, noting that profits may fluctuate from quarter to quarter due to seasonal trends. Our key assumptions: i) GWP growth at 3-5%; ii) net earned premium growth at 5-5.6%; iii) net claims ratio at 38-39%. Based on LPI’s track record, its core net profit has not seen a decline since 2001, hence we believe that with management’s expertise in this industry, profits may likely resume growth with management’s move to exercise more caution in motor riskunderwriting as well as to roll-out more comprehensive fire insurance products, amidst a more liberalized market. Downside risks: price competition, spike in claims, higher fraud cases. We took several institutional investors to the Malaysia Autoshow 2019 held at MAEPS, Serdang. Key takeaway of the event included: (i) Prime Minister, Tun Dr. Mahathir and his view on 3rd national car project, (ii) key model launches from Toyota and Mazda (no new models from Honda), (iv) hints on the upcoming National Automotive Policy (NAP) 2019 and (v) MPOB addressing concerns of B10 implementation. Despite the scepticism of the local automotive outlook, post advanced purchases during the tax holiday period, it was a welcome relief that interests at the autoshow was high. Maintain OVERWEIGHT. During the launch of the autoshow, Tun Dr. Mahathir reemphasised that the third national car project is crucial to the development of the local automotive sector ecosystem. This project, in Tun M’s view, is expected to create new technology clusters as well as new skilled experts. The government recently approved up to RM20m in research and development grants – a sign that Tun M and his team is committed to spur interest for this initiative. Nonetheless, Finance Minister Lim Guan Eng has reassured that the bulk of the third national car project will still be funded by the private sector. Sime Darby (BUY) could be a potential beneficiary as we learnt that its engineassembly unit, Sime Darby Auto Engineering has expressed interest to participate in this project. (v) Refinement of Approved Policy (as opposed to its abolishment under NAP 2009). The NAP 2019 Is Still Pending and Is Expected to be Launched by 2Q19. More realistically, we think that NAP 2019 will be the 2nd saga of the NAP 2014, and will continue to promote (i) the development of Energy Efficient Vehicles (EEV) and (ii) localisation programme for Completely Knocked Down cars, by providing more incentives (ie. lower excise duties/more rebates) through the Industrial Linkage Programme Scheme. We expect carmakers with high local content (ie. Perodua, Proton, Toyota, Honda, Mazda, Nissan) as well as the local autopart players (ie. APM Automotive, MBMR, Pecca, Oceancash) to benefit from this policy. Malaysia Rail Link Sdn Bhd (MRL), the state-owned asset owner of East Coast Rail Link (ECRL) project, and China Communications Construction Co. Ltd (CCCC) have signed a supplementary agreement to revive the ECRL project, complete it by December 2026 and reduce the construction cost to RM44bn from RM65.5bn previously. The key beneficiaries are HSS (BUY) and Lafarge (SELL), which were awarded contracts previously. Local contractors such as AQRS (BUY) and IJM Corp (HOLD) could also win subcontract works for the ECRL. Maintain our NEUTRAL call on the Construction Sector with SunCon, HSS and AQRS as top BUYs. We believe the revival of the ECRL project augurs well for the government-togovernment relationship between Malaysia and China. The project was one of the largest projects under China’s Belt and Road Initiative. The supplementary agreement between MRL and CCCC was signed on 12 April 2019. More details about the project will be revealed during a press conference scheduled on 15 April 2019. MRL’s website has provided some details on the modified alignment for the ECRL running from Kota Bahru to Port Klang. The reduced project cost of RM44bn includes a provisional sum for double tracking. The key change is the alignment, which will avoid having to build a 18-km long tunnel through the Titiwangsa mountain range and hence substantially reduce the cost. The total length of the ECRL is also reduced to 640 km from 688 km previously. We understand that the project will involve more local participation from the supply of materials to awarding work to local subcontractors. Lafarge secured a contract to supply cement worth up to RM270m and HSS won RM130m worth of contracts for engineering designs and construction supervision from CCCC previously. These are the potential immediate beneficiaries if the suspension of their contracts are lifted. Other potential beneficiaries are local contractors to be appointed subcontractors. In our view, we believe AQRS, IJM Corp, WCT, WZ Satu, Econpile, Advancecon, Sunway Construction (SunCon) are in a good position to bid for subcontract works for the ECRL. The revival of ECRL augurs well for the local construction industry and the potential positive multiplier effect on the domestic economy with the increase in local participation. Newspaper reports quoted Tun Daim Zainuddin saying local participation in ECRL will increase to 50% of all works from 30% of civil works. This indicates RM22bn worth of contracts could be up for grabs for local players. Construction stock prices have run up recently on expectations that the project will be revived. Hence, we believe the stocks could see some consolidation in the short-term. We believe it will take some time to finalise the detailed designs for the new alignment and undertake land acquisitions before construction contracts can be awarded.